Rise and shine, Netizens! We of the 21st century and social media users are constantly blessed (?) with viral challenges. Challenges can be for a good cause, dangerous, sinister, or just for fun! A new challenge has come your way; and are you up for it? Even though it’s called the Falling Stars Challenge, it has nothing whatsoever to do with stars, just falling. Actually, not even falling, but just fake falling. Till now, I still can’t figure out why it’s called the Falling Stars Challenge. So, if any of you know why, please share with us in the comments below. Anyway, let’s talk about the challenge. It all started about two months ago, when Instagram users posted pictures of themselves lying face down, as if they’ve fallen over. And not just falling over anywhere, but in extravagant places such as private jets, yachts, expensive cars, and the such. Not only that, but apparently the (very expensive) contents of their bags/pockets have also fallen out, and strewn around them… Artistically. So it wasn’t really about falling (or fake falling) after all; it was a matter of flaunting wealth! 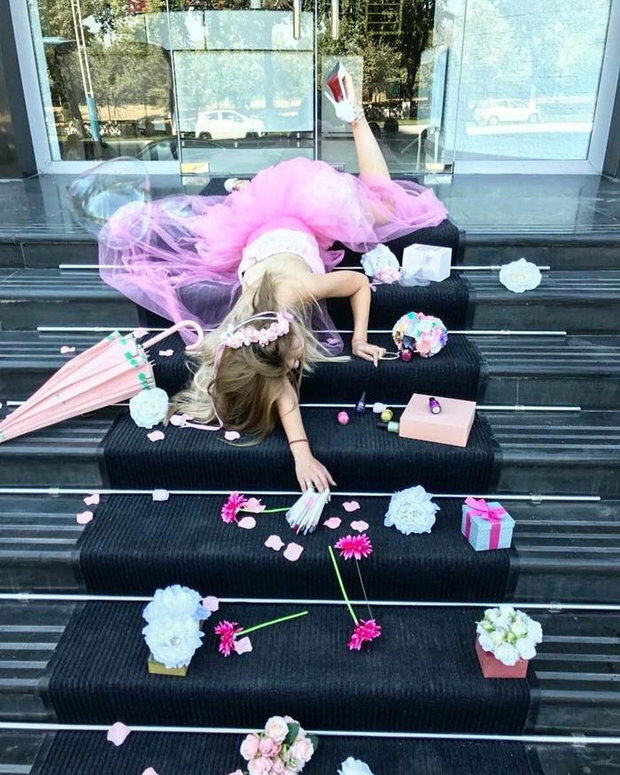 You really can’t get any more extra than this: lying face-down in an extravagant place, orchestrating your belongings, taking that photo, and then picking all your stuff up again. 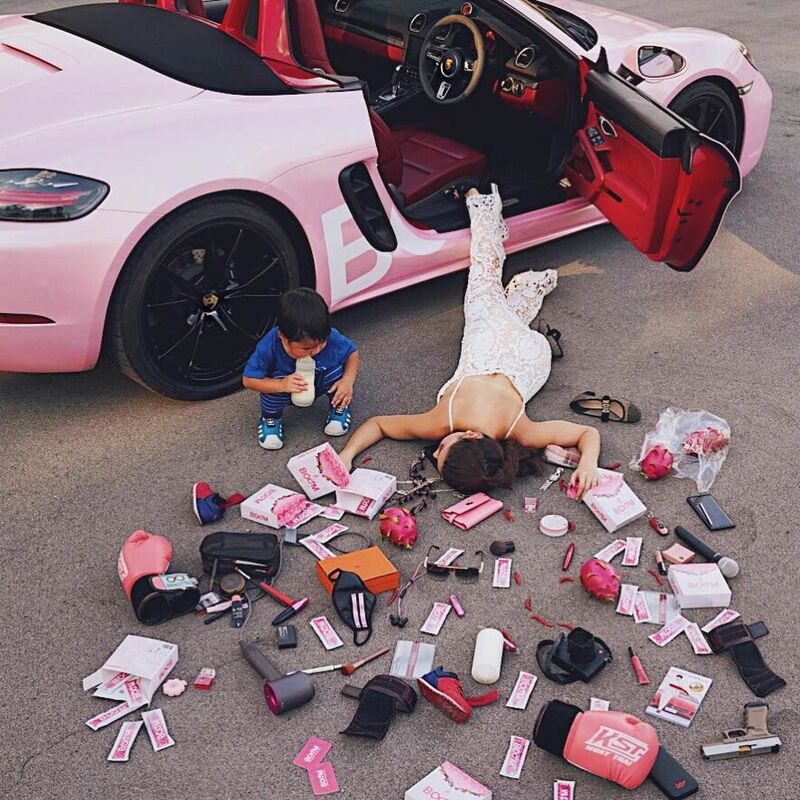 I guess the days of flat lays are now over, so the rich have to come up with unusual ways to showcase their riches. Plus, if you’re rich but not famous, this is probably one of the best opportunities to really get your name out there. (Is the #rkoi tag still relevant?) Even if you’re not one of the rich, and don’t have access to ridiculously extravagant places as your backdrop, you still can participate in the Falling Stars Challenge. All you have to do is put your best foot forward and show your best fake fall, with or without belongings. Get creative! A child was photographed “falling” while toys were scattered all around; that counts too! Make your “fall” as ridiculous as possible, because that’s the whole point of the challenge! Oh, and if you do perform the challenge, send us your photos! It will either motivate us to work hard due to your pure riches, or it will make us marvel at your creativity if you’re just an Average Joe trying to create a #fallingstar. Bonus points if you make us laugh! For inspiration, simply go to Instagram and search for #fallingstarschallenge!